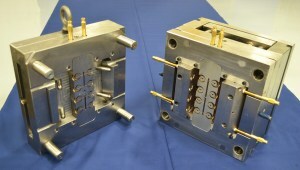 Enterprise Tool & Design is the premier source for close tolerance quality molds used in the automotive sealing industry. We specialize in the fabrication of automotive sealing system molds used to create the sealing and gasketing systems used on vehicle doors, windows, roofing, hoods and trunks. Using ethylene propylene diene monomer rubber (EPDM), Thermoplastic elastomers (TPE), and Thermoplastic vulcanizates (TPV), along with rubber, steel and felt, we design and machine a complete a top-quality precision product that meets the multiple challenges associated with sealing system molds and is compliant to automotive standards. Our products have been and continue to be used in major automotive brands for decades. Read about a recent automotive sealing machining project we completed here. If you are a wholesale distributor of sealing and gasketing systems, put our expert design and precision tooling expertise to work for you today. Give Us a Call at 262-679-8665 or Contact Us Here.